Kybella is now available! Kybella is an FDA-approved injectable product that dissolves submental fat (fat below the chin.) Dr. Klein will also be training other physicians on how to use this product. Call our office if you would like to schedule a consultation and see our special below. We are also a training center for Bellafill for Acne Scars- Bellafill is a permanent filler FDA-approved to treat acne scars. Skin testing 1 month prior is required. We are looking for patients to be treated by Dr. Klein during training sessions (other physicians will observe.) If chosen you will receive 50% off your treatment. Call us to schedule your consult and skin test today. Ocumend is now available in our office. For those of you prone to bruising, Ocumend is a highly concentrated Arnica patch that reduces bruising in the majority of our filler patients by 80-90%. Just ask us about it when you are here for your filler appointment. Join us Thursday August 20th between 5:30-7:00 pm at Beauty Bar MD for our first Beauty Bar Hour! 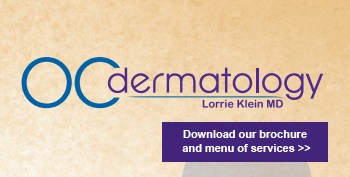 Receive free consults with Dr. Klein and our Beauty Bar Consultants and be eligible for a raffle for free SkinMedica skincare products and a Free Vitalize Peel ($200 value.) Refreshments will be served. Call us to find out our schedule of other events. Kybella Special- Kybella is an FDA-approved injectable product that dissolves submental fat (fat below the chin or double chin.) This month receive Free Botox (20 units- $280 value) when you purchase a Kybella treatment. Or, pre-purchase 2 treatments or a package of 3 treatments and also receive a Free Juvederm (0.5 cc- $400 value). All treatments may be pre-purchased and used later. One free Botox and free Juvederm per person. 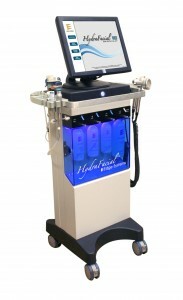 HydraFacial MD Summer Special – Save $50 off a Hydrafacial MD treatment. This is Dr. Klein’s favorite facial and results actually last when a series of HydraFacials are done. SkinMedica Total Defense & Repair SPF 34- A brand new type of sunscreen that blocks UVA, UVB and Infra-Red! Infra-Red causes photo-aging of the skin. It also contains lots of anti-oxidants that help reverse photo-aging! We are one of the first offices in the country to have this breakthrough product. This month save $20 instantly when you purchase this one-of-a-kind sunscreen. This month we are featuring one of Dr. Klein’s favorite products: Alphaeon Lash Serum. This lash enhancer makes your lashes thicker and darker. 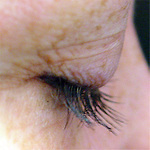 Dr. Klein likes to pair Alpha Lash with Latisse. 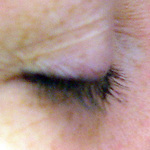 She recommends applying Alpha Lash over Latisse to make your eyelashes both longer AND thicker. All Beauty Bar MD Members receive 20% off this product this month. Is HydraFacial A Good Summertime Treatment?